The study by Malcom and Marrie1 reveals the alarming prevalence of inappropriate fluoroquinolone use for community-acquired pneumonia (CAP) in a sample of emergency departments. Community-acquired pneumonia remains the most common infectious cause of death; thus, the widespread use of fluoroquinolones leading to emergence of resistant pneumococcus and gram-negative organisms seldom implicated in CAP is worrisome.2 One of the obstacles in educating practitioners treating CAP to limit the use of fluoroquinolones to those deemed appropriate for such therapy1 is the lack specific recommendations for the treatment of CAP by guidelines published by the American Thoracic Society (ATS) and Infectious Diseases Society of America (IDSA). In outpatient CAP, the IDSA recommends doxycycline, a macrolide, or a fluoroquinolone in no specific order of preference.3 Although the latest ATS guidelines for outpatient treatment of CAP recommend reserving fluoroquinolones for patients with cardiopulmonary disease, the ATS makes no distinction in preference among a β-lactam plus a macrolide, a β-lactam plus doxycycline, or an intravenous fluoroquinolone alone in stable hospitalized patients with comorbidities. 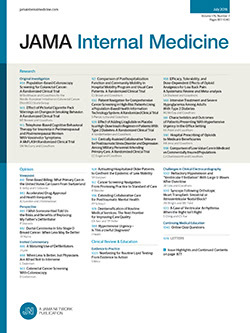 In hospitalized patients without cardiopulmonary risk factors, monotherapy with intravenous azithromycin or a fluoroquinolone are recommended equally, despite significant differences in their spectrums of coverage.4 For hospitalized non–intensive care unit patients, the IDSA recommends an extended spectrum cephalosporin plus a macrolide, or a β-lactam/lactamase inhibitor plus a macrolide, or a fluoroquinolone alone—equally as first-line therapy. In intensive care unit patients, the IDSA recommends an extended spectrum cephalosporin or β-lactam/β-lactamase inhibitor plus a fluoroquinolone or macrolide without preference for either combination of the latter.3 In the United States, only the Centers for Disease Control and Prevention Drug Resistant Streptococcus pneumoniae Therapeutic Working Group (CDC-DRSPWG) and the Antibiotic Selection for Community Acquired Pneumonia (ASCAP) panel consistently recognize the potential impact of widespread fluoroquinolone resistance due to its widespread use, as well as the need to reserve fluoroquinolones for selected patients with CAP, in the outpatient, inpatient, and intensive care unit settings.5,6 In view of such variance in guidelines in the United States, it is not surprising that confusion over what should be considered first-line empiric therapy for CAP has led to a high level of inappropriate fluoroquinolone use in our hospitals, emergency departments, and clinics.